Chill Out with Our Very Berry Frozen Dog Treat That’s Tasty for People Too! Ready for another delicious frozen dog treat that you can enjoy too? 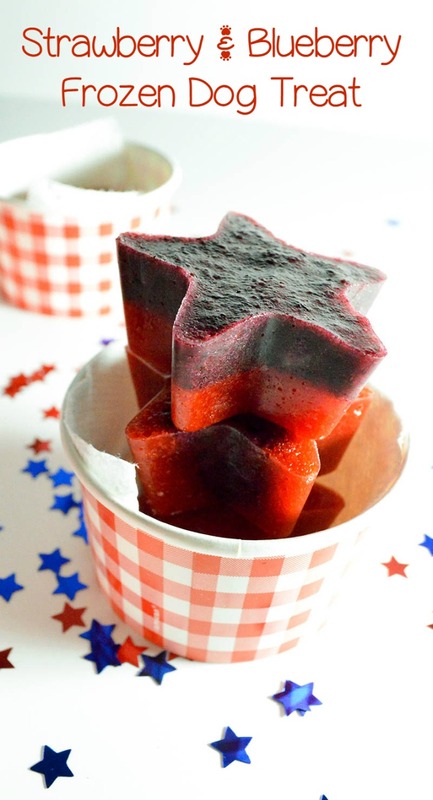 Today we’re whipping up a tasty strawberry and blueberry frozen dog treat! If you take a look at the ingredients, though, you’ll find that this treat is just as yummy for you! Plus, making treats for both you and your dog in one swoop means you’ll save money on food! 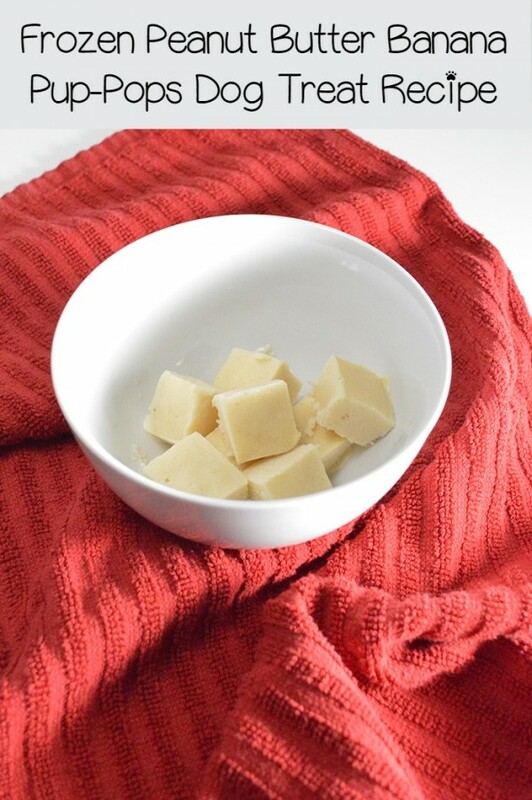 Another fabulous thing about this particular frozen dog treat: it’s insanely easy to make. 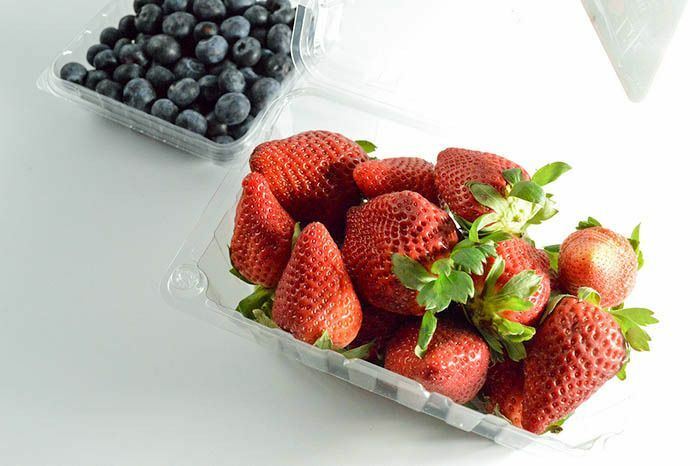 Berries are coming into the season, so take advantage of those farmer’s market deals. You can use those battered yet still good berries for this recipe too. Let’s check out how to make it, shall we? Don’t forget to print the printer friendly version. Blend the blueberries and, if desired, the honey in a blender until smooth. Pour into your cup or mold, filling halfway. If you’re using a larger plastic cup, just fill it up about half an inch or so. Blend the strawberries and honey until smooth. Pour over top the frozen blueberries, creating a layer about the same size as the blueberries. Pop out and serve to your pooch! 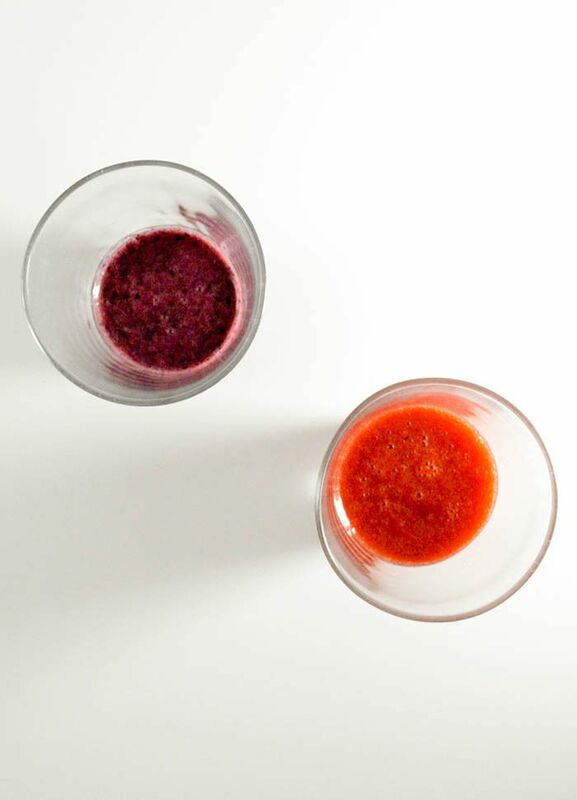 If you want to save a bit of time, you can blend both the ingredients at the same time (but separate) and fill half of your molds with one berry and half with the other. Then refrigerate the remaining mixtures until it’s time to layer them on top of the frozen layers, and alternate, adding blueberry to strawberry and vice-versa. 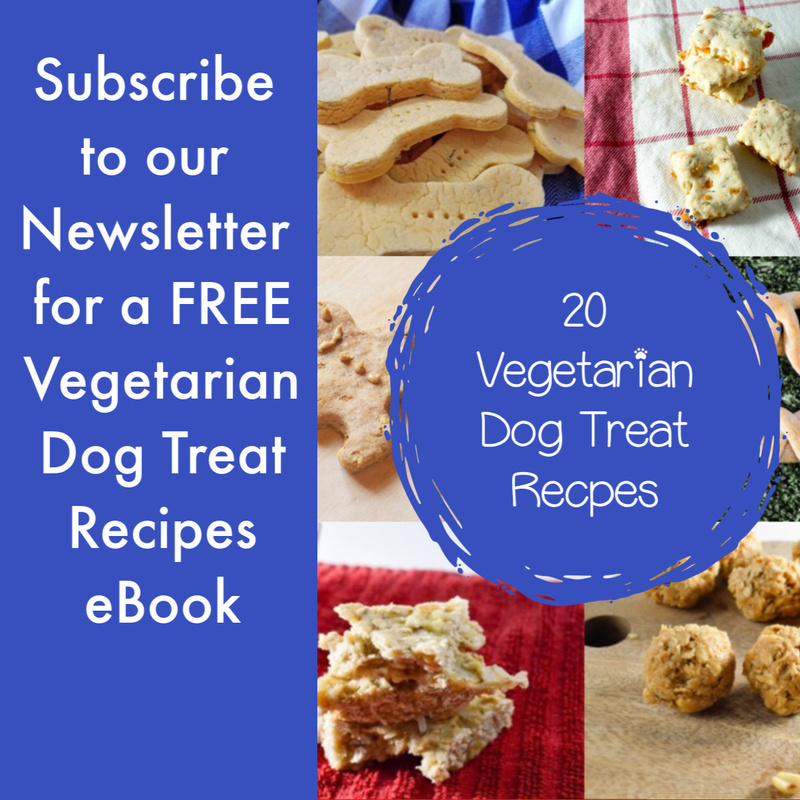 How about the Healthy low Fat Veggie Treats? 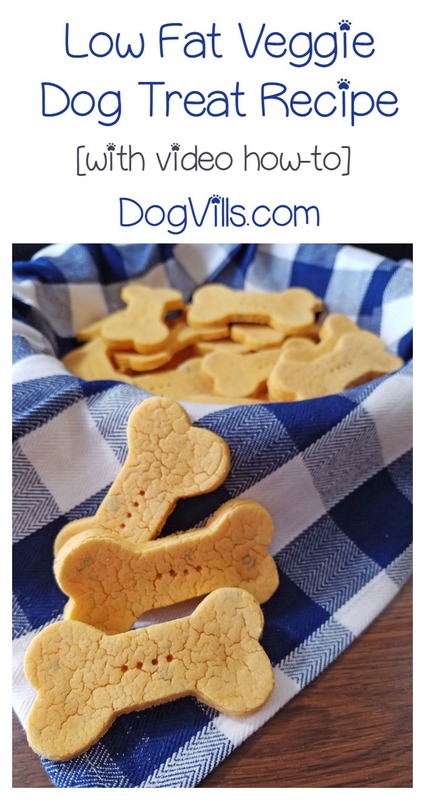 Can you think of other yummy frozen dog treat recipes that you can eat too? Share in the comments! 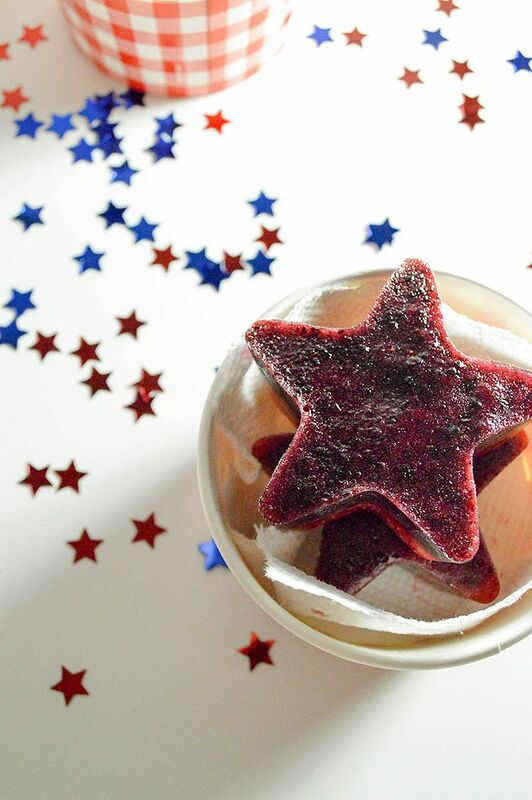 Chill Out with Our Very Berry Frozen Dog Treat That's Tasty for People Too! Blend the blueberries and, if desired, the honey in a blender until smooth. Pour into your cup or mold, filling halfway. If you’re using a larger plastic cup, just fill it up about half an inch or so.